Are you ever interested in finding out what football personalities think of the country’s politics? Do football players even vote? What would they change in our country if they had the power to do so? 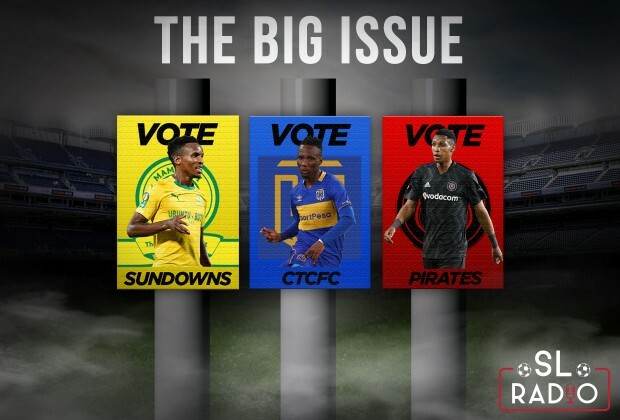 In this episode of The Big Issue, South African football players reveal their voting plans. We also hear from them about their thoughts on political parties attending football matches. Listen to the full show in the player above. Note: The player defaults to low for the smallest possible download size. You can adjust it to various qualities, which will change the file size. Also, you can listen to it now, or download the show and listen to it whenever you want.